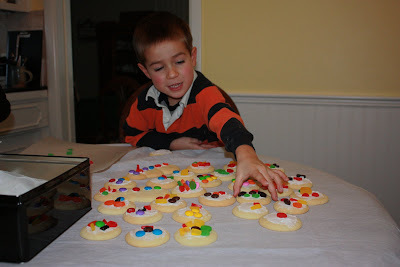 The past two weeks around here have been very busy!! 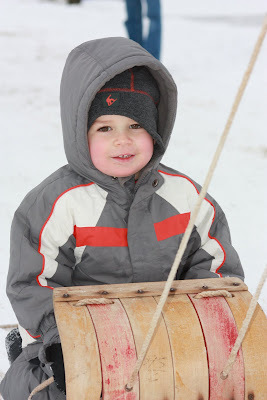 Levi has finally decided that he needs to be diaperless. 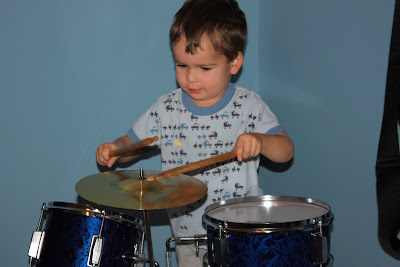 I tried potty training him about 6 months ago and he just wasn't ready. 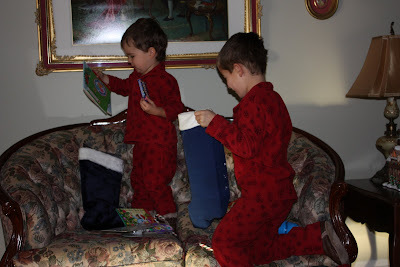 We tried again before Christmas with no progress. 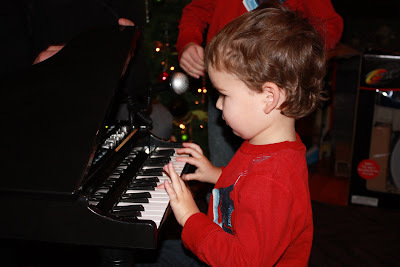 Two weeks ago I thought I would try again, this time he seemed to get the hang of it and was doing really well. 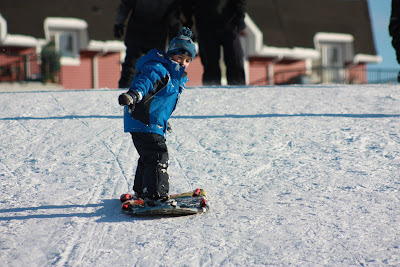 For the past week he has been going all by himself and hasn't had an accident in over a week!! 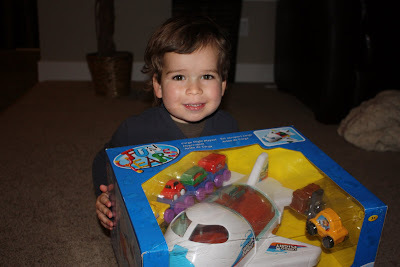 Over 6 months ago I bought him this airplane that he really wanted, hoping that it would encourage him to go to the bathroom. 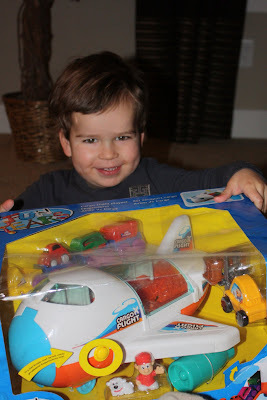 Yesterday we finally pulled out the airplane and Levi was so excited. 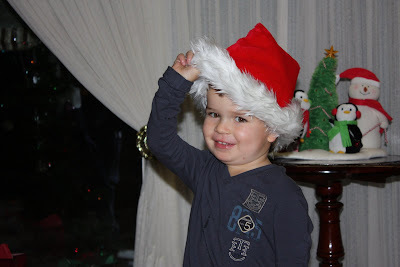 He is officially a big boy!!! 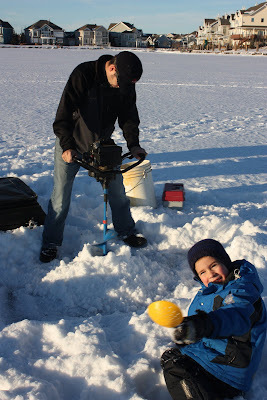 On Saturday the boys went ice fishing for the first time. 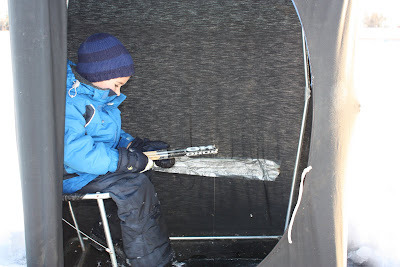 They both took turns sitting in the tents and tried hard to catch a fish. 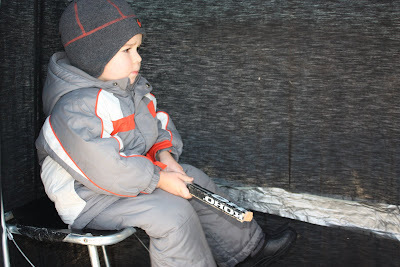 Although we didn't catch anything, we had a great time outside in the beautiful weather!! 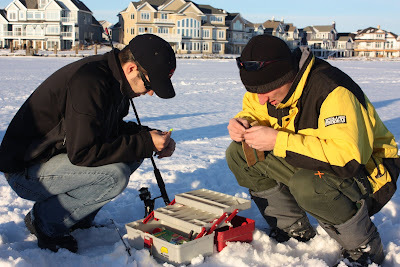 Pulling in all the fishing gear. 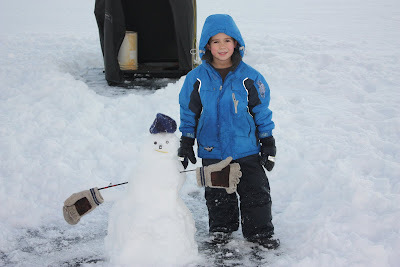 Jakob took a break from fishing and made a snowman. 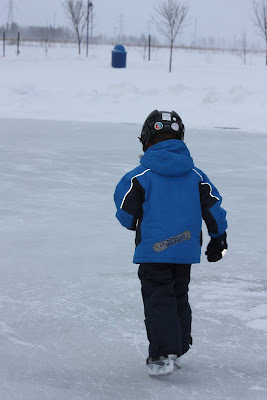 On the weekend we also went skating. 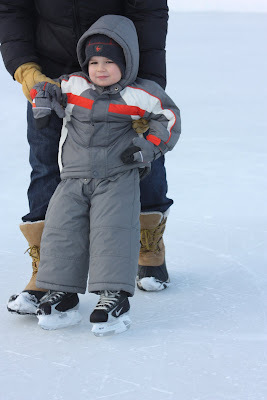 It was Levi's first time skating and he did pretty well, considering he is only 2 and a half! 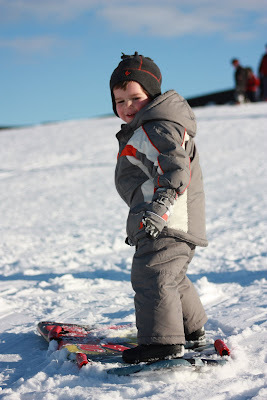 He tried his best and kept going out again and again. 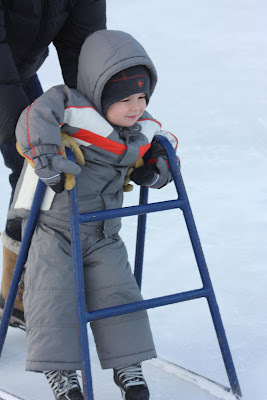 Jakob started by using the chair helper and quickly left that behind, he figured out how to skate on his own again. 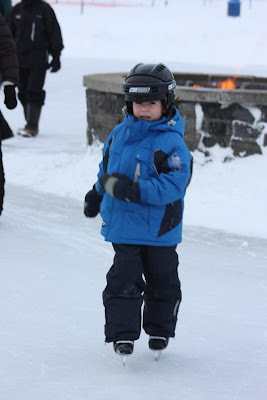 He did really well and had a great time. 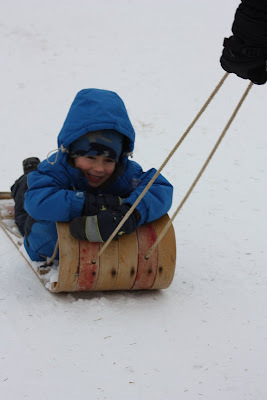 Both of the boys had lots and lots of fun!! 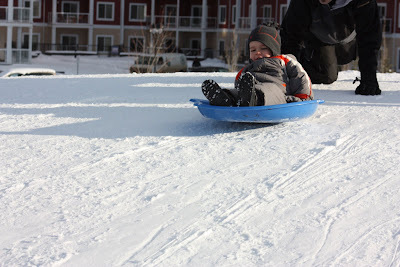 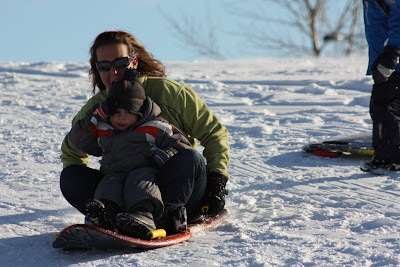 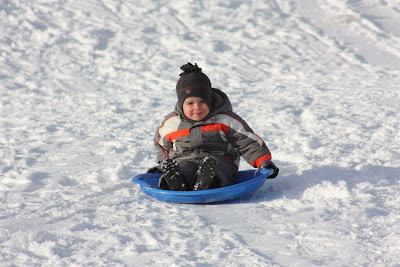 This weekend we had such beautiful weather, so we decided to go tobogganing. 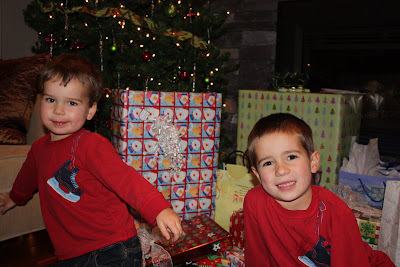 The boys had a great time! 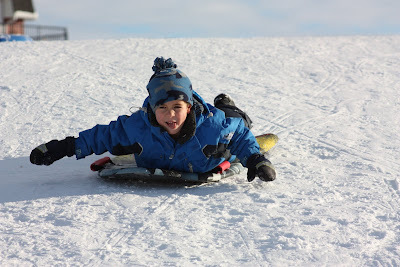 Jakob even tried to use the sled as a snowboard and he did pretty good. 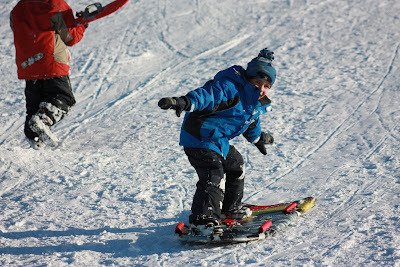 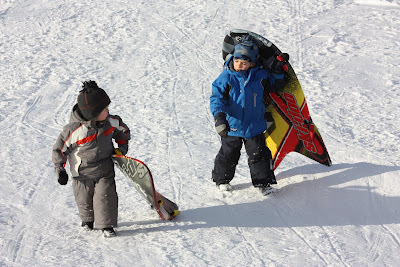 Of course, Levi copied Jakob and tried to snowboard too! 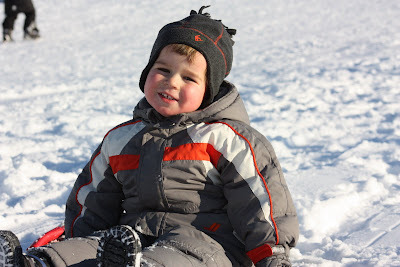 Finally a warm day to enjoy!! 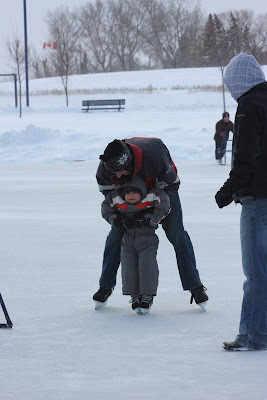 The second part of our holiday celebrations took us to Winnipeg. 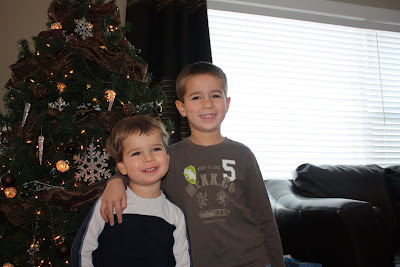 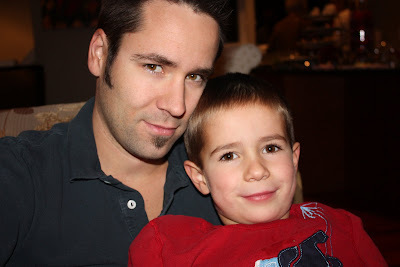 We spent Christmas with Grandma and Grandpa, Uncle Scott and Auntie Marnie and the rest of the Barber/Bollman family. 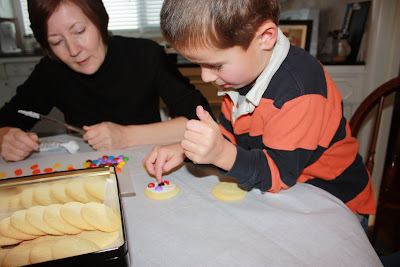 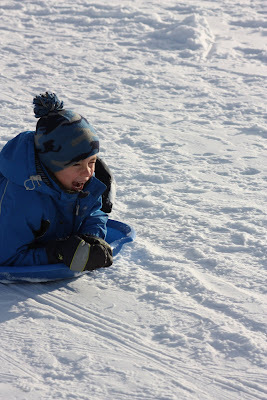 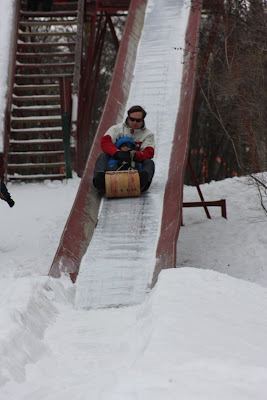 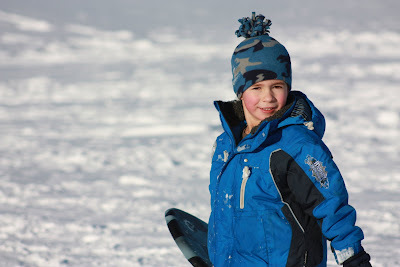 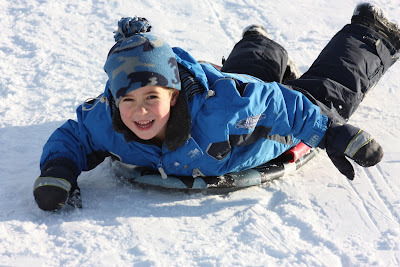 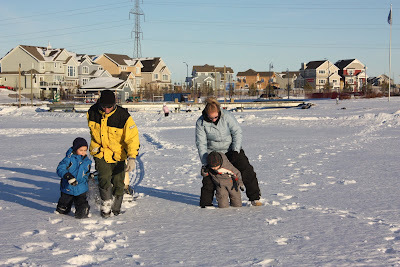 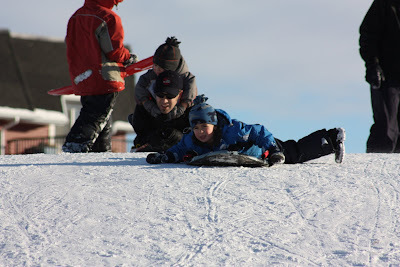 The boys had a great time, they played lots, sang and played piano with Grandma, decorated cookies, opened lots of gifts and there was even one day where the weather was warm enough to go tobogganing! 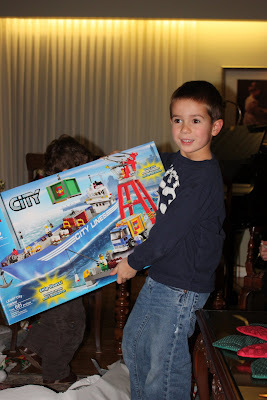 The boys got very spoiled this year! 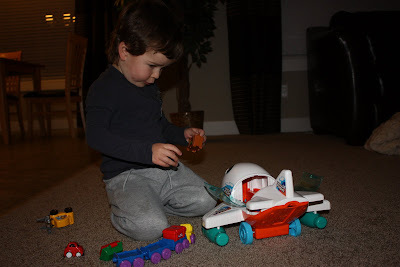 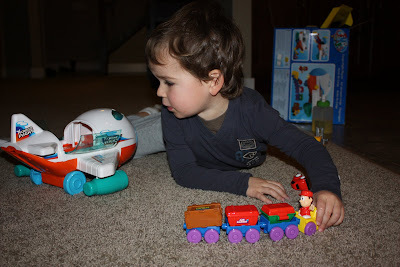 We had several family Christmas events and the boys got lots of toys!! 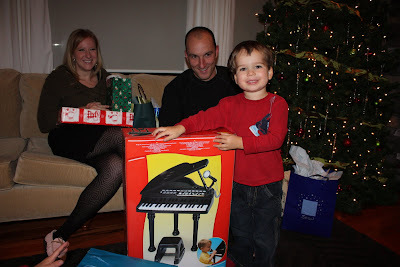 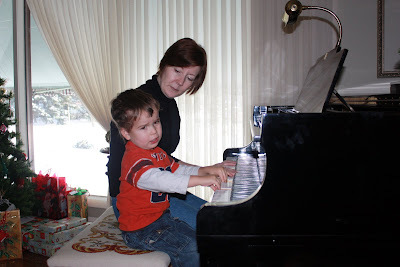 Levi got a mini baby grand piano from Uncle Jordan and Auntie Kristy, it was a huge hit, Levi loves it! 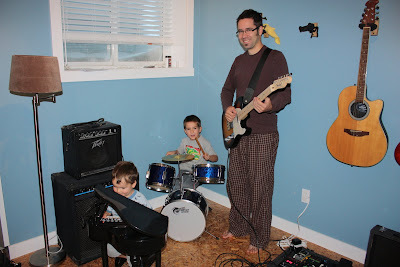 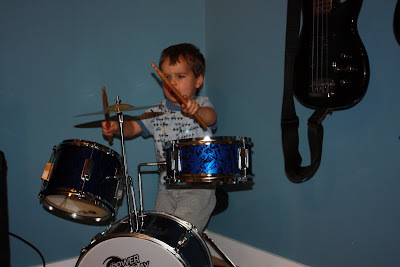 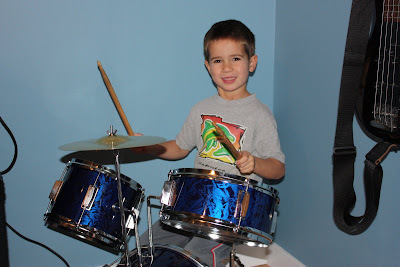 Jakob and Levi got a mini drum kit from Oma and Opa, so we now have our own Bollman band!